This is the BEST time to stock up on sugar and other baking essentials! This week at Publix, Domino Sugar is Buy One Get One Free. 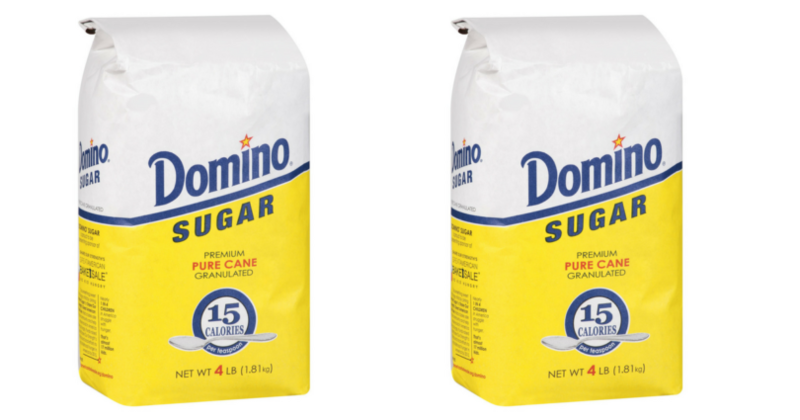 Stack this sale with a coupon to grab the four pound bags of Domino Sugar for just $1.10 each! Final Price: $2.19 – or $1.10 per bag with $1 coupon! Deal runs through 3/31 at Publix. Wanting to learn how to use coupons, but don’t know where to start? Start here. If you’re new to shopping at Publix, start here for tips on how to save the most money, where to find coupons, and how to stack coupons at Publix. Make sure to like Frugal Finds During Naptime on Facebook, follow us on Twitter, Pinterest, and Instagram. **SUPER HOT** Baby Crawling Pad/Game Mat ONLY $2.56 (reg. $169) – After Points!